Shopping can be crazy this time of year and finding the perfect things for the perfect people can be tricky. For me, my perfect lady/ladies are my sister and my mom and I love shopping for them and there really is no better gift then seeing their faces when they open their presents. So I have put together some great ideas for whomever is your perfect lady in your life. 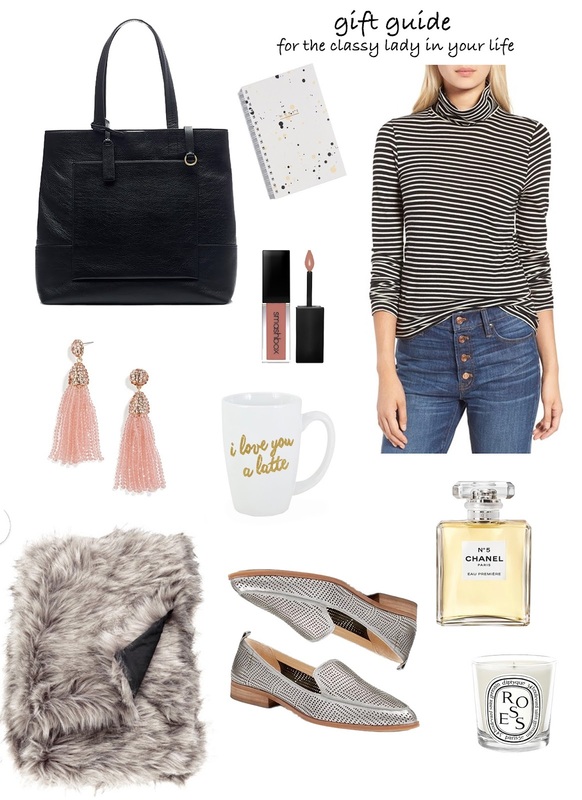 From a must have faux fur throw from H&M, to a timeless scent with this CHANEL perfume, to my favorite J.crew turtle neck, this list has things from great price points that won’t break the bank. I hope everyone is doing great with their holiday list and having a great holiday season.